Ruined City of Cyfandir – …and the sky full of dust. Look, that’s my name there! An adventure I wrote (after being given the premise, toys to play with, and a bunch of suggestions by Alex) for the Adventurer, Conqueror, King System (ACKS) game has been released into the wild. 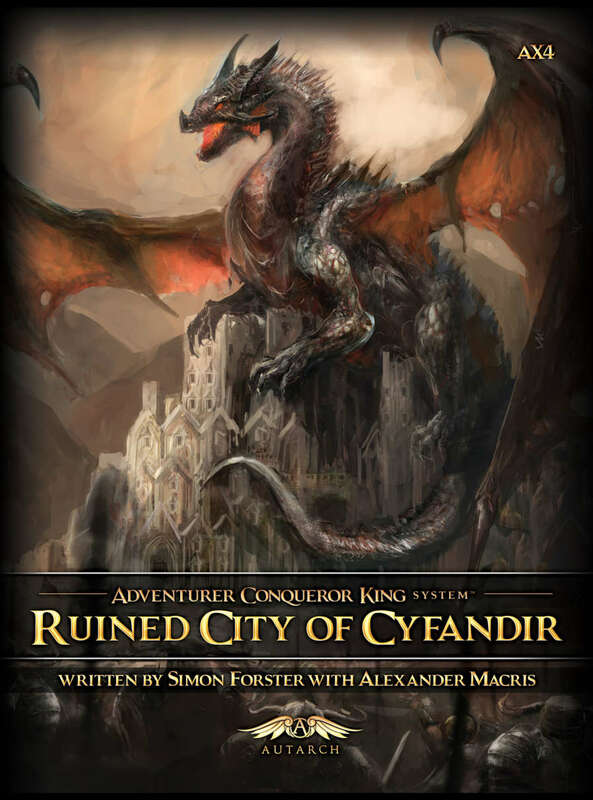 AX4: Ruined City of Cyfandir (ROC) is a ready-to-play adventure scenario. Explore the vast ruined city of Cyfandir and discover the secrets of the fallen kingdom of the elves. I had great fun writing this, especially the random table for exploring the ruins. Check it out. Go on, it’ll be good for you.